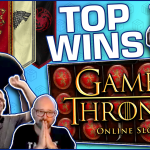 Another week another Tuesday and another video compilation for our Big Wins segment. 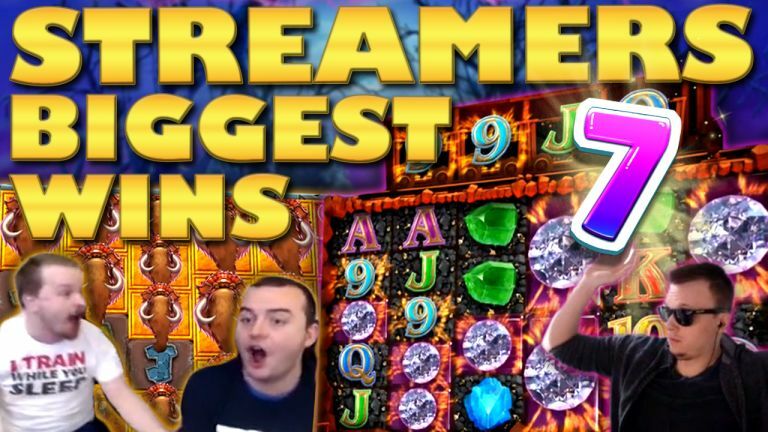 Today we feature unique wins from eight different casino streamers. Moreover there are two game providers which make the bulk of slots that we include on this video compilation. - Specifically Blueprint and Push Gaming. Thus let’s dive in and check each and every hit. 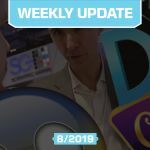 If you have been playing slots lately you must have noticed that megaways are the trend of the moment. Since Big Time Gaming shared the feature with other providers, looks like everyone is making megaways slots. Two of these best games are Diamond Mine and Primal megaways. Both Blueprint slots and available on CasinoHeroes. Last week JimboCasino got super lucky with the bonus round on Primal, getting 480x the stake. Moreover Spintwix smashes the free spins on Diamond Mine thanks to a high multiplier and a number of of lucky hits. My two favorite slot machines from Push Gaming are Jammin Jars and Viking Clash. Now everyone knows Jammin, because it is one of the most popular slots of the moment. 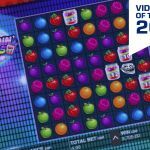 Moreover the game was selected as the best slot of 2018 by our community. Hence Slotspinner’s big win on it last week did not come as a big surprise. On the other hand Viking Clash is not as popular, however it boosts tremendous potential. This slot might be a bit to much for some players, due to the 8 different reels it has. Thus, sometimes it makes for long teases and it feels like the bonus is always around the corner. However the locked wilds feature on the bonus is a personal favorite of mine. Therefore I enjoyed seeing Miikapekka getting a massive 904x the stake on it. Let us take a road trip to Finland where we find two great casino streamers who are actually roommates as well. First it’s Apehehe which you see often on our compilations. This time the steamer was playing Reactoonz at Calzone casino. Here, after a number of winning combinations, he managed to release good old Garga. In addition, thanks to a combination of the mega wild with a number of pink symbols, he managed to get a total win of 862x the bet. In comparison, we include Muarko for the first time on a compilation clip. His slot of choice was Terminator 2 and as you might have guessed there is usually only one occasion when the terminator makes it on the big wins. - Yes it’s a Hot Mode. If you thought that we were done with Jammin Jars then think again. This game is an absolute beast, which looks like it will never stop paying players. LetsGiveItASpin was one of the few slot streamer who had yet to be paid by Jammin. However his time came last week with a super mega win of 1482x the stake. Let’s hope he gets even bigger hits on the game. Last but not least we have DCT slots who got the free spins on Bonanza. Now even though his bet sizes are not as high as other streamers out there, that does not take away anything from his spectacular win. 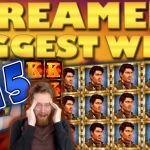 Tell us which win on Casino Streamers Biggest Wins – Week 7 of 2019 was your favorite. Moreover, share your thoughts in the comments. Also, make sure to check our other videos on CasinoGround’s YouTube channel. 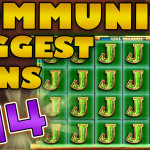 [Extra-Spins Inside] CG Community Presents - The Best Video Slot of 2018: Jammin Jars.